SUMMER AND SMOKE is rated 4.8 out of 5 by 4. Sorry there are no shows for Summer And Smoke right now. ★★★★★ "A triumph of storytelling and atmosphere. Spine-tingling." Time Out ★★★★★ "Patsy Ferran's quicksilver turn is somehow an even more astutely judged mix of smouldering ardency and flickering volatility." 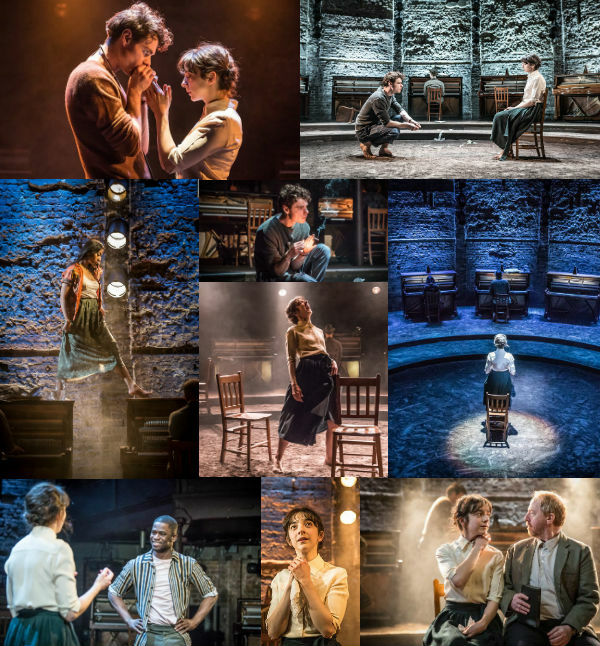 Daily Telegraph Rebecca Frecknall's 'shiveringly beautiful production' (The Sunday Times) of Summer and Smoke has now opened at the Duke of York's Theatre for a strictly limited run. Trapped between desire and a life of obligation, Alma meets John and her world turns upside down. This intoxicating classic about love, loneliness and self-destruction evokes the simmering passions of a sweltering summer in small-town Mississippi and is 'full of elegant surprises' (The Times). Patsy Ferran is 'a genuine marvel' (The Independent) as Alma and Matthew Needham is 'superb' (Daily Mail) as the conflicted and troubled John in this 'superlative production of Tennessee Williams' story of summer love, sexual desire and self-destruction' (Culture Whisper). This innovative and 'radiant' (Financial Times) revival has 'both soulfulness and fluidity' (Evening Standard) and 'will be forever etched on the memories of theatregoers lucky enough to see it' (What's On Stage). Rated 4 out of 5 by Dave M770 from Smoking Hot Acting, But The Cold Dead Play Barely Revives Much praise has been heaped on the acting in this production. It’s well deserved. Patsy Ferran is great. The rest of the cast is great. Even the production is stunningly clever at times. But the slickest of crash crews can’t revive corpses from the morgue. That’s where this venerable old play should have stayed. So four stars for the stellar performances but oh, what number of stars would this company have deserved in a better Tennessee Williams’ play? Its plot and emotional layers just don’t merit two and a half hours. Pixar could have done the play justice in a ten minute short. I felt at times like I was in an acting masterclass, its degree of difficulty all the more heightened by the thin material the actors were asked to stretch out. Rated 5 out of 5 by miserablegirl from amazing production proper theatre! Superb acting, and novel production. Of course, Tennesse Williams writes brilliant, too true to life plays, but this was a very engaging interpretation. Rated 5 out of 5 by Bri from Summer And Smoke I went to London on 17th of November to see Tennessee Williams play Summer And Smoke at Duke of York. This is an excellent production and runs for almost three hours including an interval. It tells the story of Alma who meets her neighbour John but this leads to events that have devastating consequences. Its very funny but also unnerving and dark. The cast are brilliant and I highly recommend it.